that have an intoxicating effect on cats of all sizes. Depending on how you feel about cats, these mint plants may or may not be a nice addition to your gardens. Catmint (Nepeta faassenii) is a compact, upright branching perennial that grows 1-2 feet tall with a spread of 18". From early summer into fall, Catmint plants produce long, loose spikes of pretty, ½" violet-blue flowers. Catmint is not as intoxicating to cats as catnip, but they love it just the same, AND it repels aphids! Catmint is hardy in USDA zones 4-8. 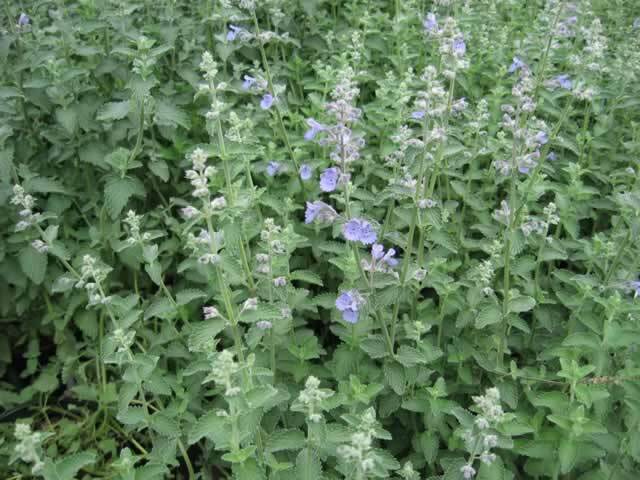 Catnip (Nepeta cataria) are very easy to grow and care for plants that are somewhat less ornamental than Catmint. 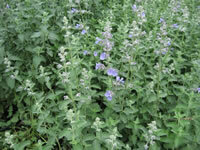 Catnip plants grow to 3 feet tall, with a spread of 1½-2 feet. In the summer and early fall, they produce 3"-4" spikes of tiny white flowers spotted with pale purple. used medicinally, as an herb, and even as an insect repellant. This plant may self seed rampantly if the spent flowers aren't removed promptly. Catnip is hardy in USDA zones 3-7. Catmint and Catnip plants grow best when they receive full sun, but they will tolerate and may even require some afternoon shade, especially in hot summer regions. They are not overly fussy about the soil they are planted in, as long as it is very well-drained. Catmints and Catnip are very drought tolerant plants that actually prefer soil that is kept on the drier side. They may quickly suffer from crown rot if the soil is too wet. Taller plants may need staking in wind prone areas. to induce fresh foliage and a new round of flowering. 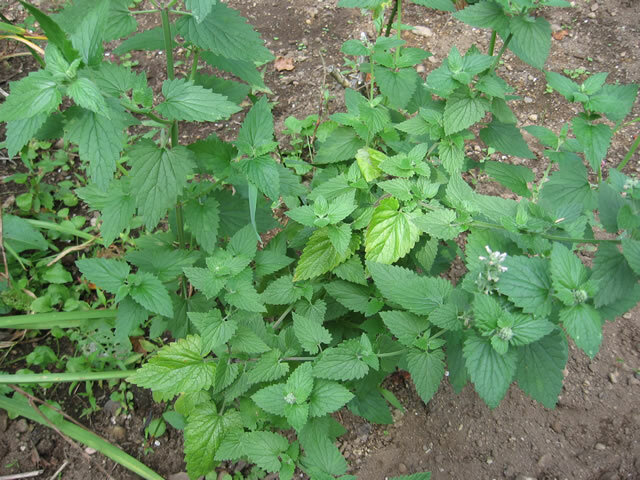 Catnip and Catmint can be divided in the spring or fall to reinvigorate fading clumps, controlling overgrown plants, or for propagation purposes. Softwood cuttings can be taken any time during the summer months. Catmint seeds are sterile and are of no use for propagation. Catnip seeds can be sowed directly in the garden, in the spring as soon as the soil is workable. Seeds started indoors should be kept at 60°-70° during germination, which only takes 7-10 days. Set your new plants 6"-15" apart in the garden after all danger of frost has passed.